Raise your lightsabers, fellow Star Wars fans: there’s finally a branded watch that doesn’t look like it came from a toy store. Nixon will collaborate with Disney and Lucasfilm to make a new collection of Star Wars-themed watches, which will include both updated models and completely new designs, all with the aesthetics of a galaxy far, far away. The collection has been seduced by the Dark Side of the Force, as the four pieces are named Stormtrooper, Boba Fett, Imperial Pilot and, naturally Darth Vader. At last, fans can crush the Rebellion in one swift stroke and look good doing it. 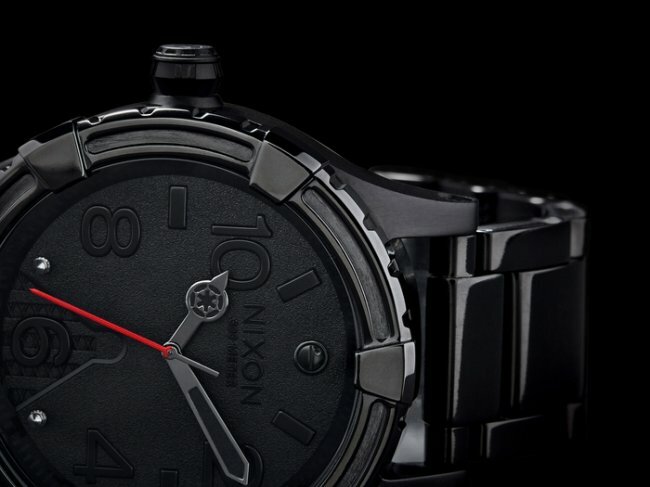 Star Wars X Nixon collection will be available in Ginza boutique in this coming F/W season.